Long runs of Ethernet cable require bulk cabling like 1000 feet of Cat 5e cable. 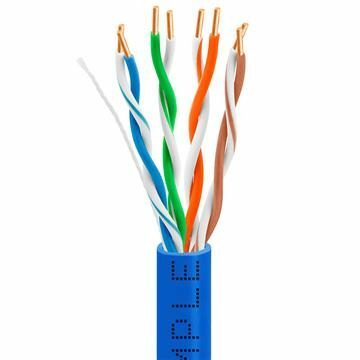 For shorter runs or patch cables, it’s much less expensive to cut them from 1000 ft. Cat5 cable than it is to purchase smaller lengths. 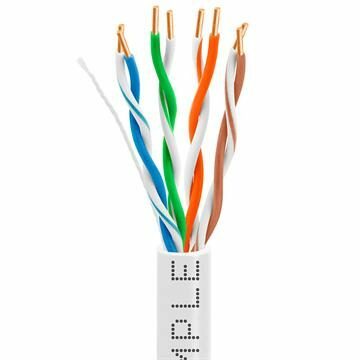 Our 24AWG Cat 5e cable, 1000 ft. long, is perfect for all of those situations; it’s high-quality, supports data transfer up to 350 Mhz (so it won’t break a sweat handling gigabit networks), and it’s extremely reasonably-priced – when you buy 1000 feet, Cat5e cable won’t break your budget. Want to replace some or all of your older run of Cat 5? 1000 feet of cable should do the trick. 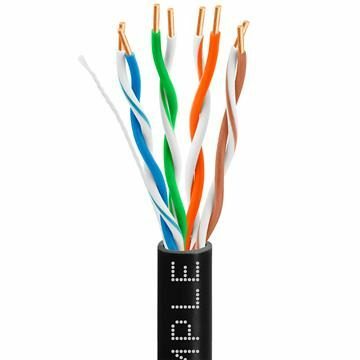 Cmple also has cabling for special situations like our Cat5e plenum cable, with 1000 ft lengths available. Choose from white, black, gray, blue, green, orange, yellow, purple, red or pink.